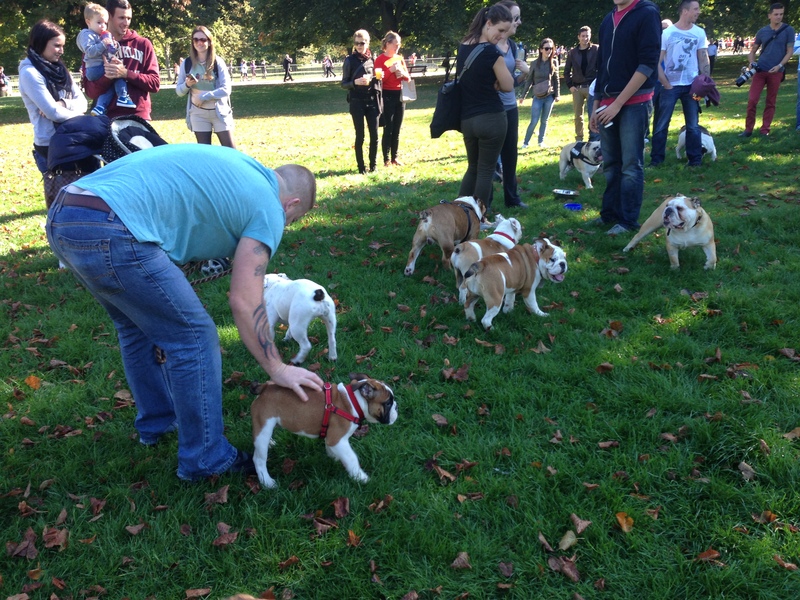 The first time I happened upon a Bulldog Meetup, I heard it before I saw what it actually was. It was a cacophony of snorts, a completely odd soundtrack for my perfectly placid oasis that is Kensington Gardens. Apparently if you happen to have a bulldog, the park on the first Sunday of every month at around 11am is the place to be. And if you just happen to be walking your dog that is not a bulldog, or you are a dog lover, it is still something unusual to see (and hear). Above is a picture from this morning. Understandably, as a group, they were a little overwhelming and scarily slobbery for my cairn terrier puppy. Emilio. Ame & Oscar stumbled upon this, this weekend and were entranced!! An utter CLASSIC they said!